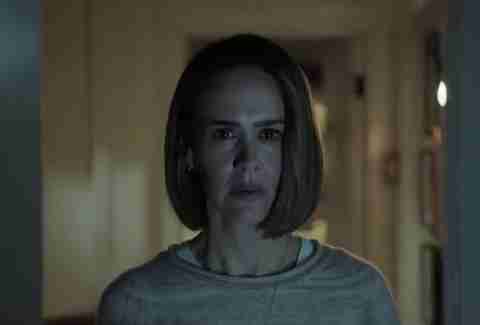 This story contains spoilers for American Horror Story: Cult Episode 6, which features graphic depictions of violence. American Horror Story: Cult has made a point of ripping stories directly from headlines, keeping the "horror" part of its name front and center as a reflection of the American experience. This season, the show's seventh, that's meant references to the infamous, decades-old Manson Family murders, as well as more recent tragedies, like the on-air killing of a reporter and cameraman. This approach to a fictional show, while it can illuminate the horrific events Americans tolerate on a daily basis, can also brush too close to reality for comfort. On Monday, FX released a statement announcing that the latest episode of American Horror Story: Cult would feature “substantial” edits in the wake of the recent Las Vegas Strip shooting, where a gunman murdered 58 people and injured nearly 500 more at a country music festival before taking his own life. The Vegas shooting is the deadliest mass shooting in modern United States history, and came just a year after the previous deadliest shooting, at the Pulse nightclub in Orlando. America’s gun violence epidemic likely inspired the incident in tonight’s AHS: Cult, “Mid-Western Assassin,” where Meadow Wilton (Leslie Grossman) guns down a crowd at a political rally and frames it on Ally (Sarah Paulson). The shooting is a ruse meant to martyr Kai Anderson (Evan Peters), who is shot, but not fatally. Viewers streaming the episode or watching on VOD will see the sequence as it was originally intended, with close-ups of individuals ravaged by bullets, and Ivy (Alison Pill) smack in the center, reacting emotionally as the bodies pile around her. But those watching live on FX saw a condensed version, with the violence occurring offscreen. American Horror Story co-creator Ryan Murphy explained at a New Yorker festival this Saturday that he trimmed the scene out of the respect for the Vegas victims: “I felt great sympathy for people who were affected, certainly, and family members and loved ones and people who are upset about the way the world is." “The way the world is” is the very basis of American Horror Story, which, since its first season, has relied on real American tragedies -- like slavery, conversion therapy, the Manson murders, and the Salem Witch Trials -- to craft its horror tales. 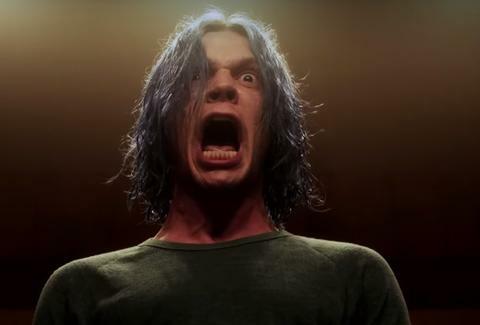 “Mid-Western Assassin” isn’t the first time the show got specific with gun violence, either; in Murder House, Evan Peters’ Tate Langdon was the perpetrator of a Columbine-esque massacre in which he shot 15 of his high school classmates. Alluding to real-world horrors has landed American Horror Story in a surreal spot, where it must edit fiction because reality is too traumatic. Cult always ran the risk of this sort of divine intervention, as it’s set in the present and specifically addresses President Trump’s election and the divisive shadow his win cast over the country. Who knows where this season’s going, but that collision of reality might easily happen again. And though it may seem safe or even cowardly to edit an episode to protect viewers from triggering violence -- especially as gun violence continues to mount -- American Horror Story joins a long line of shows that have postponed, edited, or never aired episodes after traumatic shootings. In 1999, an episode of Buffy the Vampire Slayer was delayed for several months after Columbine. 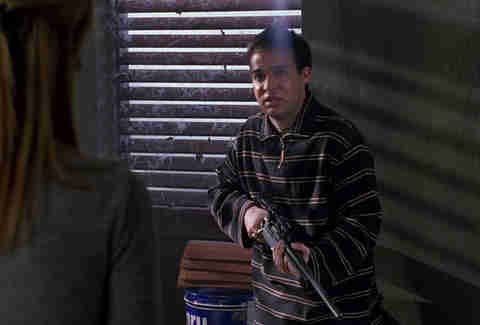 The episode, “Earshot,” depicts an outcast student who is mistakenly accused of wanting to shoot his classmates, and shows him loading a rifle. It was originally meant to air the week after Columbine in April, but was moved to September. A month later, the Buffy season 3 finale, “School Daze,” was also postponed, as it featured a violent assault on a high school. Out of continued respect for the victims of Columbine, and the May 1999 Heritage High shooting, WB delayed the finale until July. In 2013, NBC chose not to air an episode of Hannibal after the Sandy Hook Elementary School shooting and the Boston Marathon Bombing. The episode, which was never broadcast, but is available on streaming and Blu-ray, features children being brainwashed to murder other children. The USA drama Shooter was delayed three times in 2016 due to real-world violence. The first, after the Pulse shooting, and again after the sniper police shooting in Dallas. The third time, it was pushed back months after another police shooting in Baton Rouge. It eventually aired that November. Those are some examples. Other shows that have been delayed due to shootings or terrorism include Castle, Haven, Supergirl, and NCIS: Los Angeles. Netflix also recently said they may delay the premiere date of their Marvel series Punisher after the Vegas shootings. Whatever you think of American Horror Story: Cult’s quality as a television show, its precarious position vis-a-vis reality is only a mirror of the actual horror many Americans have the misfortune of facing in real life.